As you will be aware, today was the day the Development Management Committee met at EDDC to discuss the Local Plan. This had great significance for Clyst St Mary, given that it had been proposed that both the Winslade Park area and the green field owned by the Plymouth Brethren would be used for the village’s allocation of an additional 200 houses. 22 members of our group met last Monday and discussed our key arguments against this which were to be delivered at today’s meeting. We are thrilled to announce that, following today’s Committee meeting, it was unanimously agreed by the 15 councillors present to reject the green field proposal and reduce the housing allocation for Winslade Park to 150 in total. A massive thank you to everyone who attended last Monday’s meeting, including the seven brave souls who spoke so passionately and articulately today, as well as all those local residents who turned up simply to offer moral support. It really was greatly appreciated. Whilst this was only a hearing for the Local Plan – not a hearing for the specific applications to which we have all objected – it does give us hope for the future. Things certainly appear now to be less bleak than they did ten days ago! Rest assured, with your support, we will continue to fight in a dignified, professional and open manner to unite and preserve our village community. There has been a significant development regarding the Clyst St Mary planning applications of which you need to be aware. We have been advised that East Devon District Council, in its amended Local Plan, has now stated that our village is to take an additional 200 new homes (on top of the 95 that we have already agreed to.) Moreover, the Friends Provident and Plymouth Brethren sites are the proposed locations of these new homes. 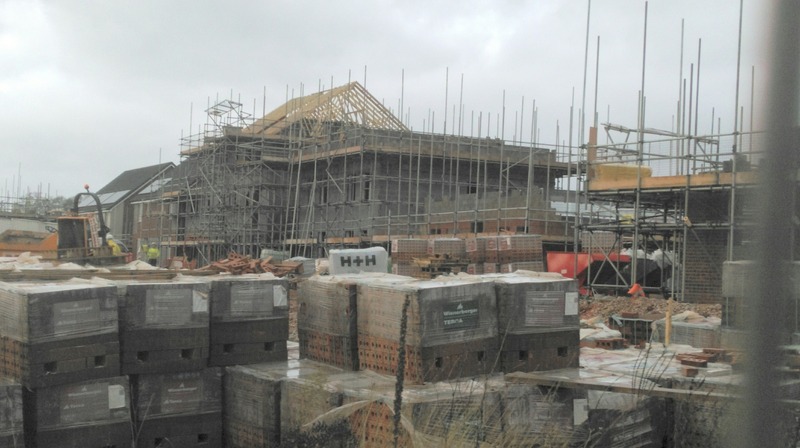 It is important to note that this news concerns East Devon’s Local Plan – it is not a result of the specific hearings for which we have all battled so hard to object to (these planning applications are still to be heard). This announcement is part of a totally separate decision where, for reasons we are not party to, our village seems to have become the exception to the apparent aim of preserving East Devon villages’ identity; it is believed it is due to our ‘proximity to Exeter’. As you can imagine, having devoted a large part of our spare time to this campaign for several months, we feel, as you probably do, utterly devastated to hear this shocking news. There remain many questions unanswered and we would, in the longer term, be keen to hear your views regarding the group’s response and possible actions. In the first instance, we desperately need speakers at the meeting at the Council’s headquarters on Monday 23rd March at 10am. It is crucial our voice is heard. Would you be prepared to speak? If so, please respond to this email – or call 01392 969100 – as soon as possible. Anyone that is prepared to speak must have a booking made by mid day with EDDC. We are hoping to arrange a short get together for anyone prepared to speak on Tuesday evening. To say that we are shocked at this development is an understatement; now, more than ever, we have to stay strong and united as a group and really hope that, despite how recent events appear to have manifested themselves, ultimately justice, transparency and equality shall still prevail. Firstly, a massive thank you to everyone who supported our Parish Council by attending the meeting on Wednesday. We lost count at 198, but estimate an attendance of in excess of 222. Truly phenomenal – and a clear indication of the support there is within and across the village. As you may already know, the Parish Council voted in favour of employing a private Planning Consultant to support us in our fight. Obviously, the Parish Council may not be able to fund this itself, so please, please keep the pledges coming in (though we do not want any money at his stage!). We have been asked what the ‘going rate’ is: the simple answer is, whatever you can afford and feel is appropriate. Pledges thus far range from a few pounds to many hundred and all are equally appreciated. Links to the media coverage announcing the outcome of Wednesday’s meeting, along with further details about the planner, Charlie Hopkins, will be appearing on our website over the next few days so do keep visiting. We very much want the website to belong to everyone, so do feel free to send in your contributions. Already people have promised to contribute relevant historical maps, pictures, related articles and one resident believes he may still have the particulars of his house from when it was first built in the middle of the last century! As a campaign group, we are doing our best to keep everyone informed of any developments and communicate as effectively as we can. However, with a number of us working full time, this is not easy. We would therefore welcome any offers of assistance. Anything from printing these updates and posting them to members of the community without Internet access, to knocking on doors and asking people to sign letters would be appreciated. Even if you simply get one other person to register for the campaign, or offer to display a poster, we would be grateful. Finally, and perhaps most importantly, please, please ensure that every member of your household has submitted their letter of application – either online or on paper. So far, according to East Devon District Council’s website, there are fewer than 30 objections – which is in no way of reflection of the number who attended on Wednesday and certainly not enough to persuade the Powers That Be of our views. Therefore, if you haven’t already, please get your letter in before the deadline, 15th January. Remember: together, we can do this! The Express and Echo has published an article about our campaign on their website and this will also be in the paper when it comes out on Thursday. Every bit of publicity helps our cause – please keep spreading the word wherever you go.